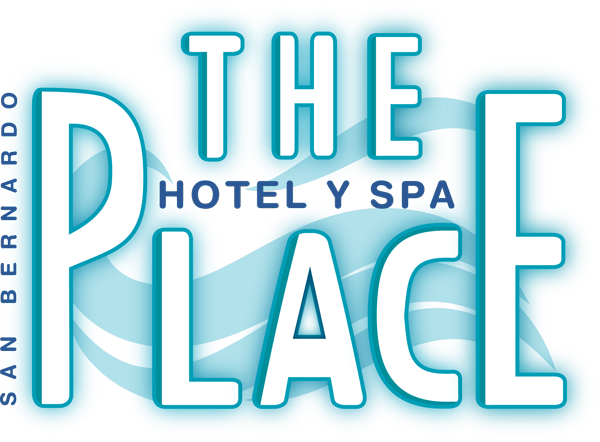 Hotel and Spa The Place is located in the heart of San Bernardo , 50 meters from the beach and steps from Chiozza, the main street. It is a modern hotel , with ample lobby, and a decoration characterized by bright and cheerful colors. It has a covered swimming pool with sea ​​view , children's pool, free Wi Fi internet access in the lobby, games room with pool table , games for children , and aerobic gym. Between the SPA services are Hydromassage , Scottish Shower , Finnish Bath , Relax Room with Sea View , Massages and Sauna . We offer comfortable rooms with Sommier bed , telephone, LED cable TV, ceiling fan, security box, and full bathroom with hairdryer. Rooms with SEA VIEW and Air Conditioned , available. You can also request the service of Refrigerator and Microwave in your room at an additional cost, subject to availability. We offer a Continental Buffet Breakfast with croissants, fruit salad, coffee, milk, cocoa, infusions, cereals, yoghurt, toast, jams and orange juice. Uncovered parking with charge, subject to availability and confirmation.